The most effective and least costly solution for problem laterals is our MTH lining of laterals. From within the mainline sewer, our specialized lateral packed unit, used in conjunction with a CCTV camera, is moved into position at the lateral connection. 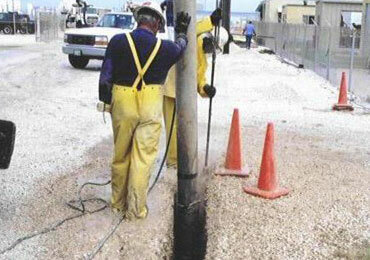 An epoxy-impregnated CIPP liner is then inverted into the lateral and is inflated using high-pressure air inversion. The curing process, using steam, takes approximately two hours to complete. 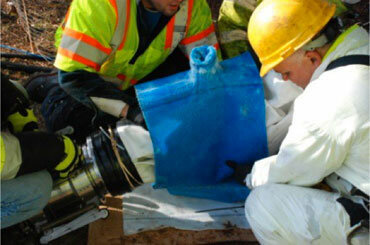 Once cured, the liner provides a new jointless, tight-fitting, and infiltration-free lateral pipe. 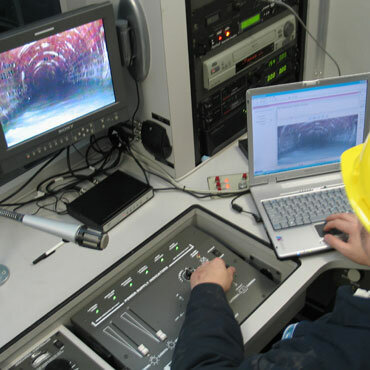 Our MTH lining process can rehabilitate up to 80 feet of lateral pipe without the need of a cleanout. This technique is a proven solution for restoring structural integrity to connections in both lined and unlined pipes, and meets ASTM 1216F. Carylon companies specialize in sealing lateral connections using chemical grout. Working from the mainline, we quickly and effectively seal leaks in service laterals in unlined pipe as well sealing the annular gap in lined pipes at the lateral connections. The grout is chemically formulated specifically for sewer applications, including acrylamide grout complying with ASTM F2304. Using a CCTV camera, the operator located the lateral and centers an inflatable grout packer over the areas to be sealed. He inflates the packer and injects chemical grout through the joints and into the surrounding soils, forming a watertight collar on the exterior of the pipe, effectively sealing the line and preventing future root intrusion. 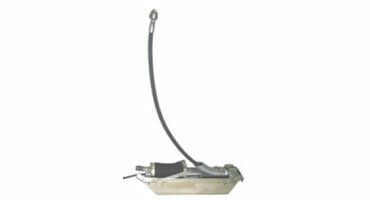 The lateral is then tested to ensure all leaks have been properly sealed. When working from within the building or an outside cleanout, the operator inserts a special lateral packer in the lateral line that injects chemical grout into each joint, effectively sealing the lateral all the way to the mainline.